Etisalat Archives - Africa M.E. LAGOS (Reuters) – Etisalat Nigeria has filed a court case against rival MTN over the use of a new frequency band which MTN acquired when it bought internet provider Visafone, it said on Monday. 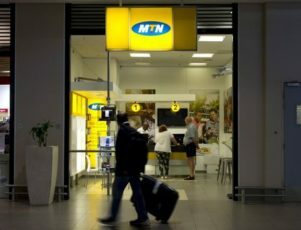 South Africa’s MTN bought the privately held Nigerian firm Visafone last month to improve its broadband services in its biggest market, giving it access to the use of 800 MHz frequency band on CDMA technology. MTN operates 900 MHz and 1800 MHz frequency bands which the Nigerian Communications Commission (NCC) renewed last November, similar to frequencies operated by Etisalat and India’s Airtel that use GSM technology. 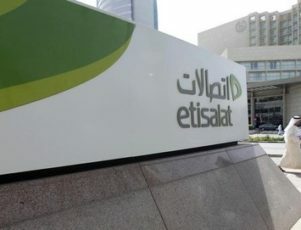 “The action is considered necessary to challenge the use of the spectrum by MTN at this time,” the local arm of Abu Dhabi-listed telecoms firm Etisalat said in a statement. “The use of the 800 MHz spectrum to deploy broadband services ahead of its competitors … will further entrench MTN’s dominance in the Nigerian telecommunications sector”. Etisalat said it was in contact with the NCC to understand the logic of its decision to approve the MTN deal despite declaring the South African firm a dominant player in Nigeria’s wholesale and retail voice markets in 2013. MTN and the NCC did not respond to requests for comment. The legal challenge is the latest headache for MTN in Nigeria, which contributed more than a third of the company’s total revenue in 2014. Nigeria’s telecoms regulator fined the South African company $5.2 billion last year for failing to disconnect unregistered lines on time, before reducing the penalty by a quarter in December. MTN is contesting the fine, which is greater than its past two years of net profit. Mobile phone subscription in Nigeria, Africa’s biggest telecom market, has grown in leaps and bounds since the advent of GSM technology in 2001 but average revenue per user (ARPU) has been on a downward trend due to increased competition. MTN has 62 million lines in Nigeria while Visafone has 2 million. 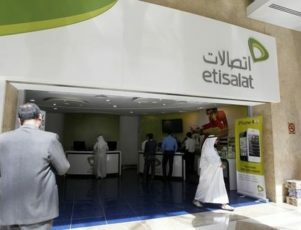 Etisalat ranks fourth in the industry with 23.5 million subscribers, according to NCC’s data.